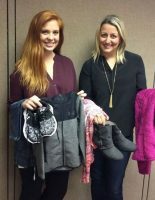 Clothes for Kids is a new program being expanded in our area through The Defiance Area Foundation. The mission of Clothes for Kids is to provide elementary age school children from financially challenged homes with new tennis (athletic) shoes and a new “Back to School Outfit” so children can feel good about themselves and their appearance. This would include the following NEW items: Hoodie or Jacket, Sweater or shirt, Pants, Underwear, Socks, Tennis Shoes. 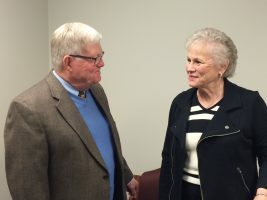 This program was founded and has been implemented over the past five years by Sharon Farrell, Defiance Area Foundation former Board Member, and is now being expanded to support and help more children and families. All County schools are invited to participate (Ayersville, Fairview, Hicksville, Tinora, Good Sam, Holy Cross, St. John’s Lutheran, along with Defiance City). During 2016 – a total of 98 children received new outfits and we had a total of 86 sponsors. Additionally, shoes and underwear were donated so over 100 children benefits from the program. 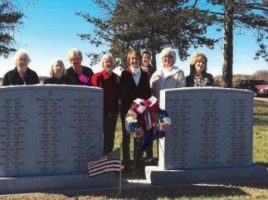 Thank you to the Fort Defiance Chapter of the DAR for purchasing two monuments for the Defiance County Home cemetery with a grant funded by The Defiance Area Foundation. The monuments list the names, birth and death dates of the 119 people who are buried there. 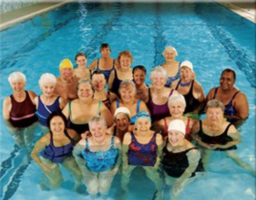 improvements to the YMCA pool this year! We appreciate your continued support. Thank you for awarding me the Claude W Henkle Memorial Scholarship! Not only did this financial support help me last year, but the continued renew- als allow me to be confident in finishing my degree. Thank-you for supporting future teachers and the students they will inspire. 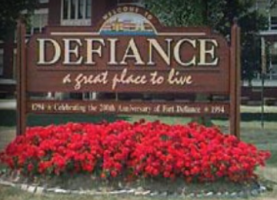 The Defiance Area Foundation wants to encourage you to take part and enjoy your communities! 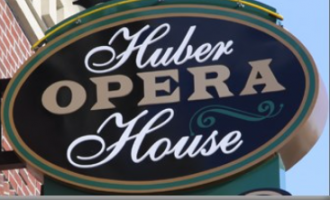 Visit the Huber Opera House, tour the Tuttle Museum or visit some of our rich history. 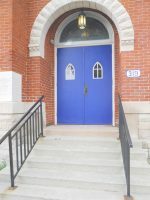 Defiance County has many hidden treasures within our communities and we invite you to discover them all!